Fullrange Fostex + ribbon tweeter! Dimensions H x W x D 33" x 10" x 17"
Continuing with my pursuit of the "less is more" axiom; I seek speakers that simplify/minimize/eliminate crossovers, drivers and cabinets I decided to pursue drivers by a French outfit called PHY. I called up the U.S. distributor, Tony Minasian of Tonian Labs. In chatting with him he told me about some speakers that he had designed, I was intrigued by his description of the product and decided to review them first and investigate the PHY's later. Over the next few weeks my conversations with Tony, introduced my to an affable yet iconoclastic personality - a few random tidbits will help paint the picture. It turns out, that in developing this speaker he tried out dozens of drivers - his favourite dome tweeter is a OEM and very cheap unit from Taiwan, big names and fancy technologies do not seem to impress him much. He openly states that cables are voodoo, and only provides a single connection on the back of speakers. He feels you can build excellent speakers with inexpensive [albeit competently built] materials, you just have to put it all together properly. Tony Minasian decided to build his own speakers because he was curious about recordings. He purchased a set of reference microphones 12 years ago and began experimenting with the speakers considered amongst the best, "the result was horrible". Even with the best microphone and the shortest signal path, he felt the sound was nothing close to a real life experience. Then he began to study the history of speaker building and after a couple of years of experimentation he found out that it was almost impossible to get a good sound with a dense cabinet. He also made some experiments with solid wood cabinets and it was not a good idea either because the woods were not consistent enough, and it is nearly impossible to build a consistent sound. Finally he experimented with different types of ply woods, especially the instrument grades, which he purchased from Finland. They seemed like they worked the best for him. The general design principle revolves around a paper cones with the smallest cone excursion and no rubber surround, almost full range but accepting a reasonably wide range instead. So they added a ribbon tweeter for the higher octaves. They have a core belief that a single driver cannot do it all, no matter how well built. Finally, putting the components in a live cabinet and tuning it to perfection finishes the speaker. That is as much as Tony shared with me, he got very tight lipped around his crossover and I let well enough alone. As a sidebar Imust mention another remarkable talent the man has. Along with his speakers he also sent me some sample recordings he had made, as a pilot to a recording venture he intends to start. I have pursued and heard some fine recordings and I scan say with confidence - this is a man who knows what he is doing, I have never heard a recording with such clarity. I can't wait till he releases some albums. Appearance wise these speakers really appealed to my sense of aesthetics. Simple and clean lines, Maple finish, no grill and proper fit and finish. Instead of the ubiquitous MDF, the cabinets are made of plywood. And the layered side of the wood are exposed and ingeniously crafted into the finish, resulting in a sopisticated aesthetic. Doing the proverbial tire kicking, I tapped the side panels and it was plainly evident that these speakers were not of the heavily braced and over-damped school. The resulting sound, however, was not boomy but rather melodious - dare I say instrument like. Now I was aching to find out how this cabinet would sound, I have often heard claims of an underbraced/underdamped cabinet to sound melodious, but have never seen it executed to worthwhile perfection. The speakers come with a set of three rear port panels, which are basically are used to adjust the tune the bass to your room. The larger the panel the smaller the opening , the smaller the opening the greater the bass response. So if you have to place the speaker really close to the rear wall or have a fairly small room, then you can use the smaller panel in order to reduce the bass. Very clever. In the bass frequencies, the Dynaudio had better extension and was probably truer to the music, whereas I would guess that the Tonian was not. However, I would definitely have to say that I preferred the reproduction of bass notes through the Tonian - the cabinet has been tuned so beautilfully that you indeed get the sense that you are listening to an instrument and not a pair of speakers. Further, the cabinet is not overbuilt or overbraced and does not supress the backwave, what Tony does with that backwave is sonic alchemy - there definitely was more detail through the Tonians than the Dynaudios. Treble notes sounded much more alive and extended through the Tonians too. Alas, a flaw...the Toninan was hissing and loudly, definitely to an irritating level. On close inspection it was the tape noise - I guess too much of a good thing [treble detail in this case] can be a bad thing. Can I get past that one flw or will this be too much to overlook - I'll just have to do some more tests in this regard to come to a conclusion. Subsequent testing and experimenting proved that the speakers pretty much have to be aimed straight ahead, or the ribbons might shred you ears to ...well, ribbons. But if you have a narrowish room, then side walls maybe a constraint you may not be able to overcome with these speakers without serious room treatments. While the Dynaudios maybe a bit deeper and tighter, but the Tonian was tuned beautifully, never heard a speaker sound so instrument like, even if a bit unnatural. To fully understand the difference in the bass response between the two speakers, I used my ACI subwoofer setup disc. The Dynaudio definitely had better bass response upto about 30hz, as a result of a flatter slope off. Above 30hz the two speakers were fairly. Now that is a very interesting find, since both speakers are rated to about 42hz usable bass. 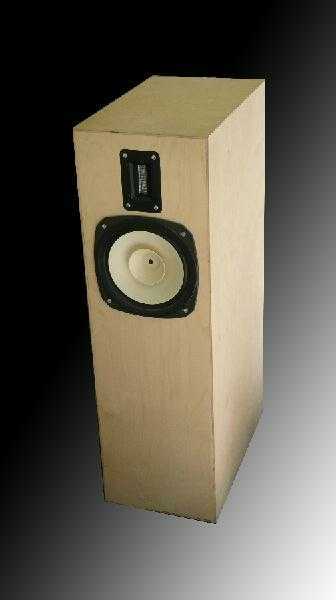 So for all practical matters these speakers are on equal footing on bass response. The Dynaudios definitely had more slam and heft in the lower registers, while the Tonians had a sound that was as unencumbered by the cabinet as I have ever heard. I have never had a speaker make my Dynaudios seem so plodding and constricted, this is a new standard for open and airy. Not only were the Tonians tl1 more open-sounding, it also was a bit more detailed in the treble. In contrast the Dynaudios were relatively dull, lifeless and boring - I have had an itch for a while to move away from the Dynaudios, but now I cant believe they have been my references for so long. The Tonians were a bit more detailed in the upper mid to lower treble frequencies, but only in a good way - this is not a euphemism for a ear shredding balance. I also tried several other tests to find a hint of sibliance or sharpness in the treble, but all in vain. Isn't that the treble dream - extreme detail, air and liveliness without harshness, fatigue or distortion. These are outstanding speakers. Period. As far as limitations are concerned, I could only scrounge up two minor ones. First, unless your upstream gear rolls off early in the treble, these pretty much need to be fired straight ahead. Which, in turn, may pose side wall interactions if the room is too narrow. This is not a serious limitations in my mind, but a very narrow room is. Second, this is not so much of a limitiation as a fact to acknowledge - while a top output of about 112db at 1 meter is plenty SPL to bleed your ears, the 60wpc power handling limitation is something to keep in mind. With Hummer like overkill built amps being commonplace in this hobby, it would be easy for someone to damage these speakers with too much power while ignoring the calls of common sense and pain avoidance. If your volume control lacks decently fine graduations in the lower levels you may have to choose between too much and too little, but that to me is a shortcoming in the preamp and not in the speaker. In summation, we have two minor limitations, that essentially are non-issues. So, did I buy these for myself and replace my longtime reference? No. Why? I don't want to compromise or rush into selecting my next reference, and so I haven't made up my mind yet, but they are definitely on my short list.